We are fortunate to be surrounded by some beautiful and interesting towns, villages and countryside. Oxford and its College and Thameside walks lies only a few miles south of us. To the North-West and West lies Woodstock and the Cotswolds; to the North, the Oxford Canal walks and to the East, Otmoor, the Otmoor Villages and the RSPB Reserve walks. However, the countryside immediately surrounding our village is full of history and beauty. The purpose of this page is to introduce some of the walks that will enable you to explore these areas. 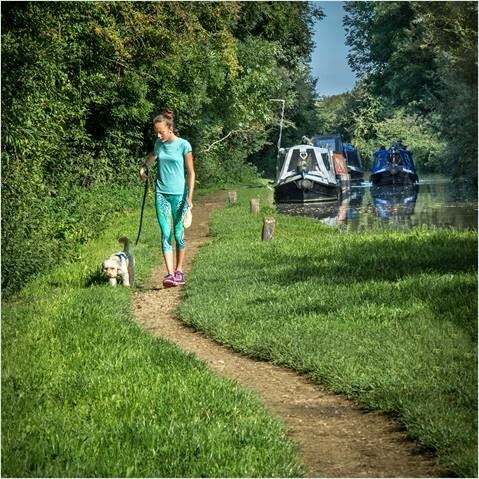 Our first two walks are over the meadows that lie between the eastern edge of Kidlington and the River Cherwell-sometimes referred to as The Cherwell Meadows. A 4 mile circular walk taking in St Mary's Church, historic ruins, floodplains and the Oxford Canal. 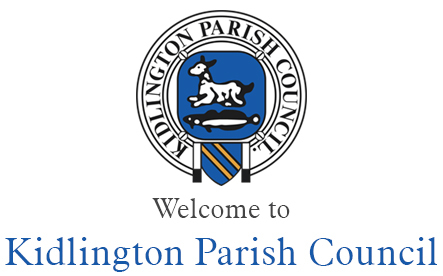 St Mary's Church in Kidlington is one of the finest churches in the county and is the starting point for this walk, which passes the ruins of the manor house at Hampton Gay, with views across the floodplain towards Kidlington spire. The route visits the tiny hamlet of Thrupp and travels past narrowboats along the banks of the Oxford Canal to Annie's Tea Room. 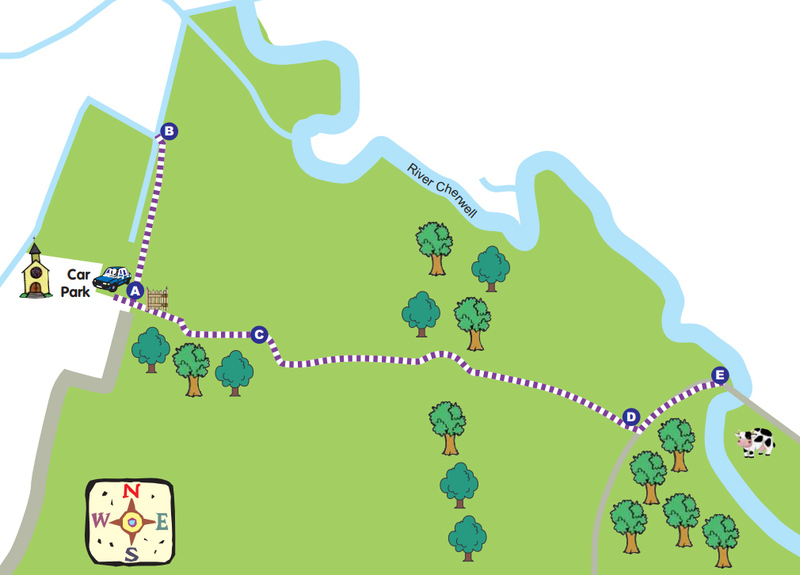 Many species of bird have been spotted on this walk, including kingfishers along the banks of the River Cherwell. This walk is designed to be suitable for those with limited mobility. Our easy walks under 1 mile long are suggested as they are more accessible routes at the time of survey. 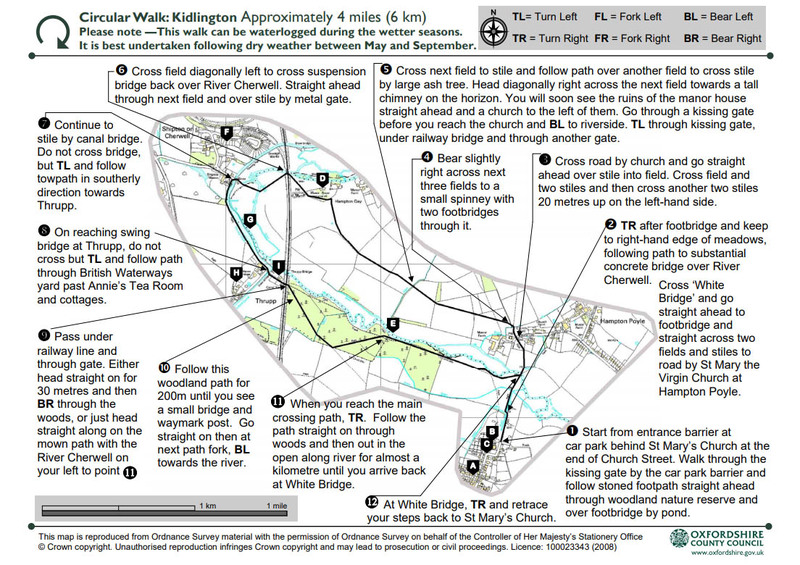 The printable walk information is colourful and hopefully easy to use, providing a simple map and directions. The downloads also include information about path surfaces, widths and gradients. This walk is 0.7 miles long. Click on this link to download the map and information leaflet.